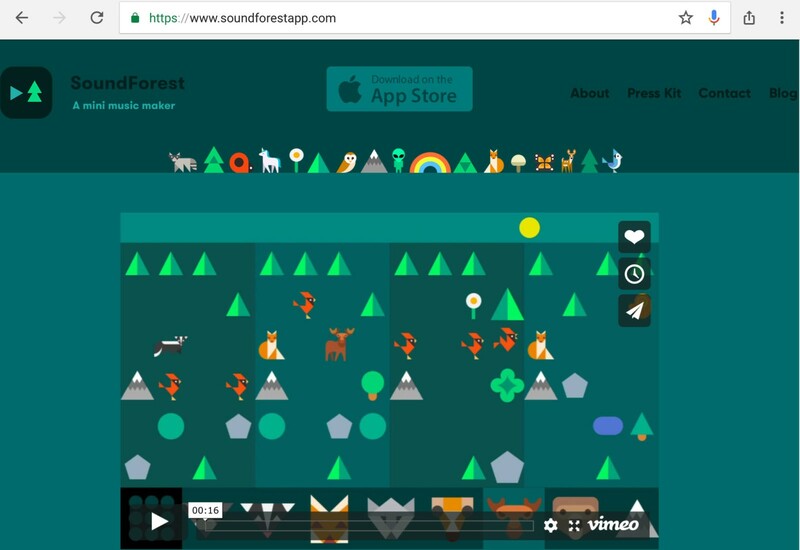 SoundForest can be used in a class with 1:1 devices, a class with a few devices, or a class with one device. The app is iOS only, which I hope eventually becomes a web-based app. However, the app is free! Here is a short video to show the app.In the second composition, can you guess the form? Add sounds by tapping the shape then tapping on the environment to add it to the musical creation. Swipe the screen to change the musical environments. Tap the top of the screen to play and stop. Double tap the top of the screen to change the tempos. There are three tempos. There are locks on the screen because the more you create, the more access you have to sounds and soundscapes. Since there is no export or share button, I would suggest sharing these creations by using the iOS 11 built-in Screen recording tool. If you swipe up from the bottom of the screen, you will see the control panel. The white dot with the ring around it is the screen recording button. You can record whatever you do on screen. That is how the above video was made. If the record button is not showing up, click here for detailed instructions. Not using iOS 11? This article will explain how to screen record on the iPad with iOS 10 using your iOS device, your laptop, and Quicktime. If you project the iPad onto a screen (you can do this by plugging the iPad into the projector, or using Reflector 2 or Apple TV to mirror the iPad), you can have the class create a guided musical creation as you saw in the video above. You can set up a form and have each student come to the iPad to add a sound to create the composition. If you go to the “About” section, it has a story about how a cartoon alien accidentally destroyed earth and you are using this app to create a new environment on earth. If that is too scary for your children, skip the “About” section and use the app as is for creating music. One note: When I use apps like these, I tend to hardwire my iPad into the projector. When I use Reflector 2 or Apple TV, the streaming is not consistent. When I hardwire, the app will work consistently. If you have access to a few iOS devices, you can set up stations around the room. One station could have SoundForest with the activity being that each student creates a portion of the environment. Students could also create the B, C, D, E, etc sections to a Rondo Form where you created the A Section. Before the class, you would create an A section and have the app open to that creation when the students visit the station. You could also place the app on each iPad and assign groups to the iPads. The instructions would be to create a song in a guided form or to create an ostinato to an improvisation that involves percussion or pitched instruments and rhythm patterns. In addition, they could be assigned to create loops and describe the shapes and sounds they used to create the loops. In a 1:1 elementary music classroom, you can assign an activity where the students create a beautiful environment with the trees and shapes. Once created, the students share their reflections about why they used those shapes. 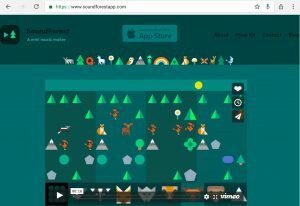 Seesaw extension: Using Seesaw? 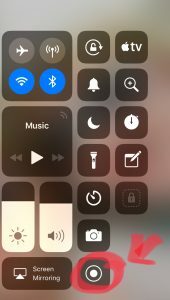 Help the students use the Screen Recording Tool (iOS 11) to screen record their creations. This automatically saves to the photo library. In Seesaw, they can upload the video to their journal and write a reflection (or you could write it for them depending on the age) about their creation. 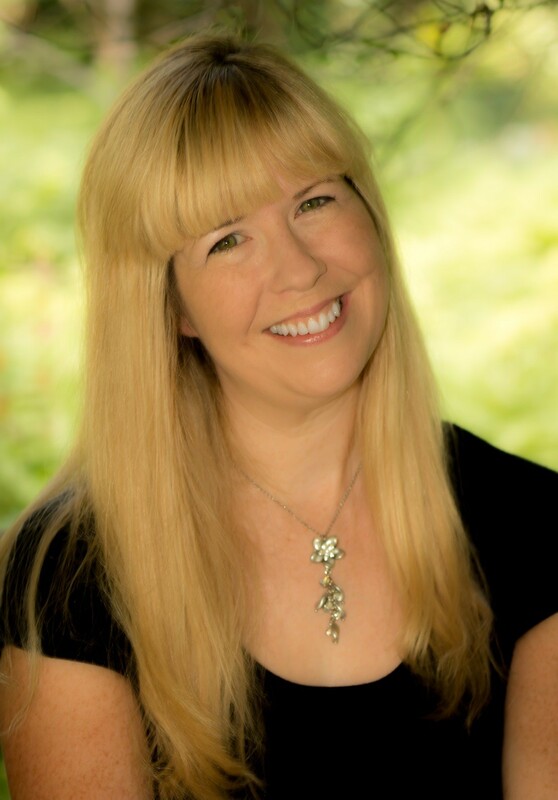 You could also assign an activity where they create a musical creation with a guided form, like ABA. They could also write a reflection on why they used those sounds and if there is a story behind their creation. Since many of the sounds are based around objects, it is a great way for the students to create an environment that the music enhances. Encourage the students or the parents to download the app onto their own iOS devices. The more the child uses it, the more they unlock sounds and soundscapes. Seesaw Extension: On the students’ journals, add a link to the app and write or record yourself stating how you used it in music class. If your students love it, they will have already told their parents about it and they now can access it through your Seesaw post!